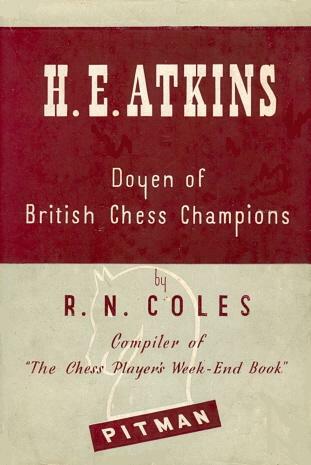 Page 12 of the book concerns a game in which ‘Atkins employs a stratagem which was to become a favourite weapon in his armoury, the advance P-KB4 when both players have pawns on K4 and Q3’. A game annotation on page 31 mentions that Atkins ‘sees already the opportunity of playing his favourite P-KB4’. 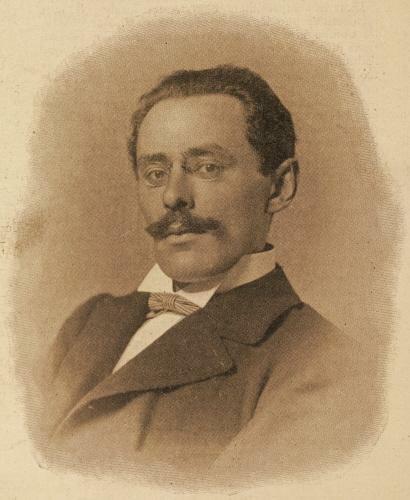 A number of readers subsequently put forward proposals concerning other masters. In C.N. 409 W.H. Cozens (Ilminster, England) suggested Euwe’s Qb3/b6 and Suttles’ h4/h5. Hugh Myers (Davenport, IA, USA) wrote to offer g3/g6 for Suttles, and g4/g5 for Basman. A further contribution, in C.N. 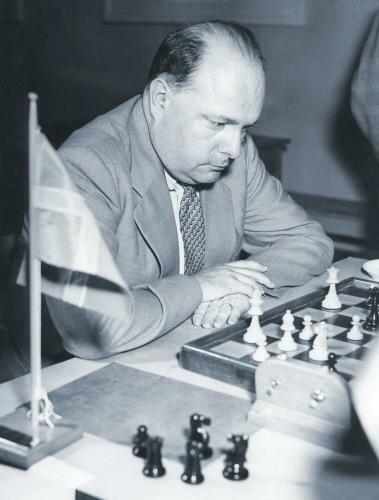 620, came from Sixten Johansson (Göteborg, Sweden), who noted a pet move of Gideon Ståhlberg: ...c4 as Black in both the Queen’s Gambit Declined and the French Defence. In C.N. 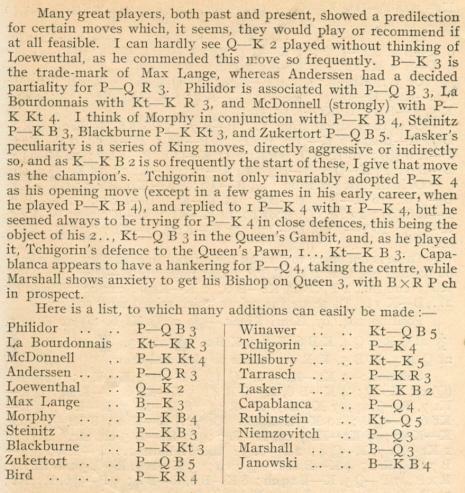 1518 a selection of Reshevsky’s early games was presented, and in the following item we noted how often, as White, he played Qe2 in the initial stages. All the above citations come from the pre-database age, being essentially founded on general impressions as to masters’ pet moves. It would be interesting to ascertain to what extent such beliefs are confirmed, invalidated or supplemented by computer research. 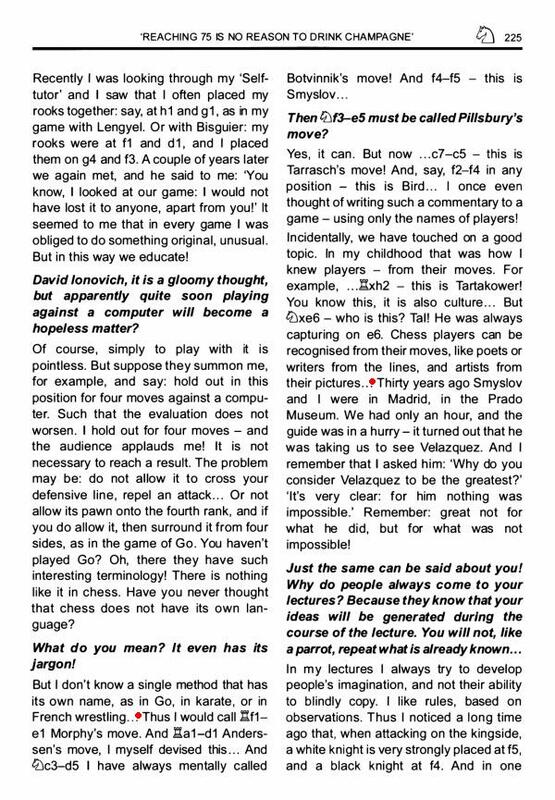 The above article originally appeared at ChessBase.com. Latest update: 5 December 2013.